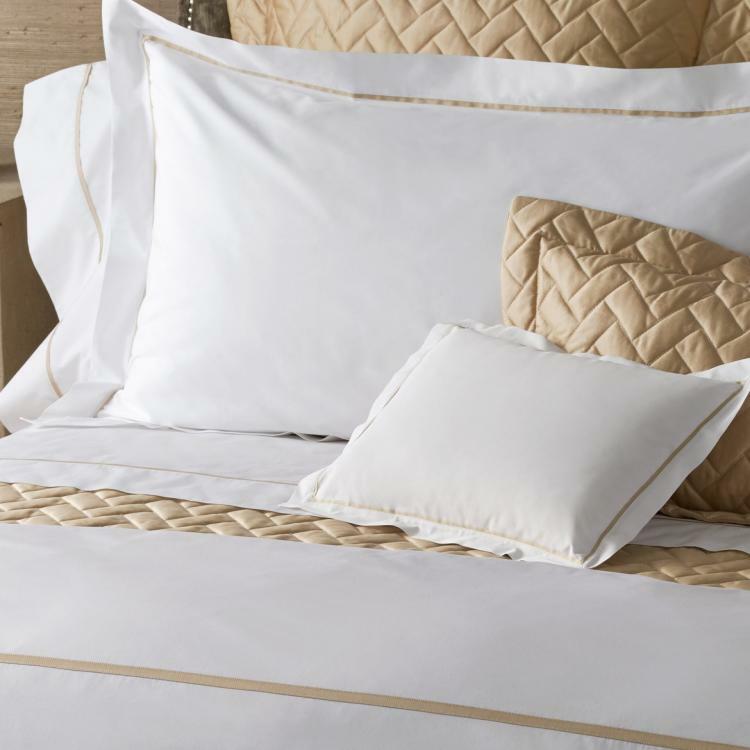 Gatsby is a 1000 thread count collection woven from a rare Egyptian cotton. 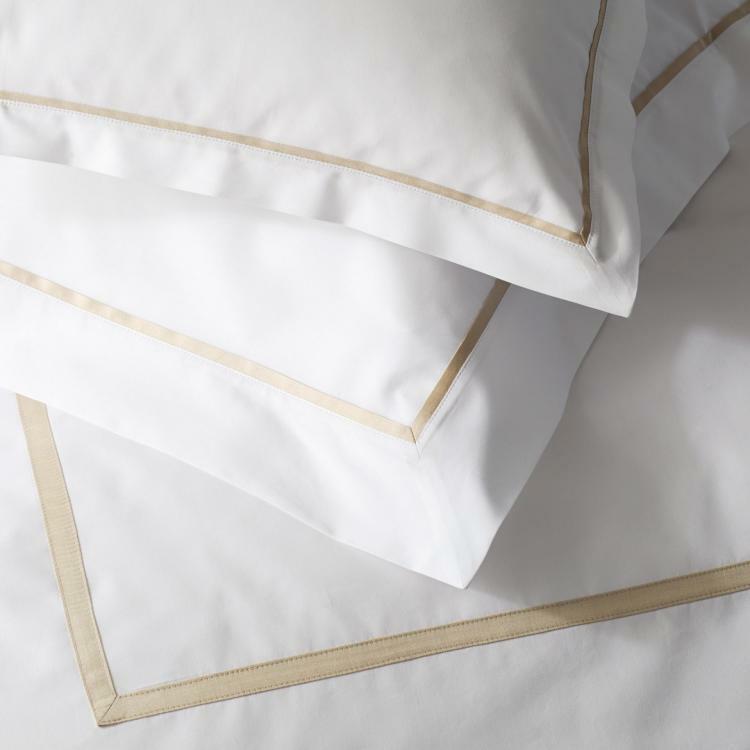 This perfect yarn makes this our most luxurious percale sheeting to date, and, we'd argue, the finest bedding available anywhere. The rare cotton produces a yarn so delicate and fine, that when woven into sheeting, the result is unbelievably light and astonishingly soft. Boasting a modern, tailored look with sateen inset detail, Gatsby showcases exquisitely in any contemporary space. Monogram will be matched to accent color for the perfect finishing touch.